I skipped lot of events in the past 2 weeks. I will try to participate in the following events. 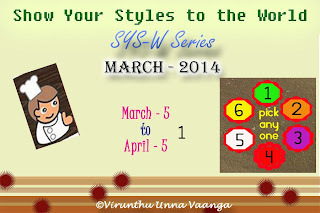 I made this Kara chutney for viji's SYS-W SERIES. My secret ingredient of this month is RED color veggies, so I have used Red chillies. I love this chutney very much. Even when I was pregnant I ate this chutney very often until 4 months. It will be very good with idli, dosa and even with chappathis too. Will go to the recipe now. First grind red chillies and salt. Then add little water as needed. Don't make it watery. 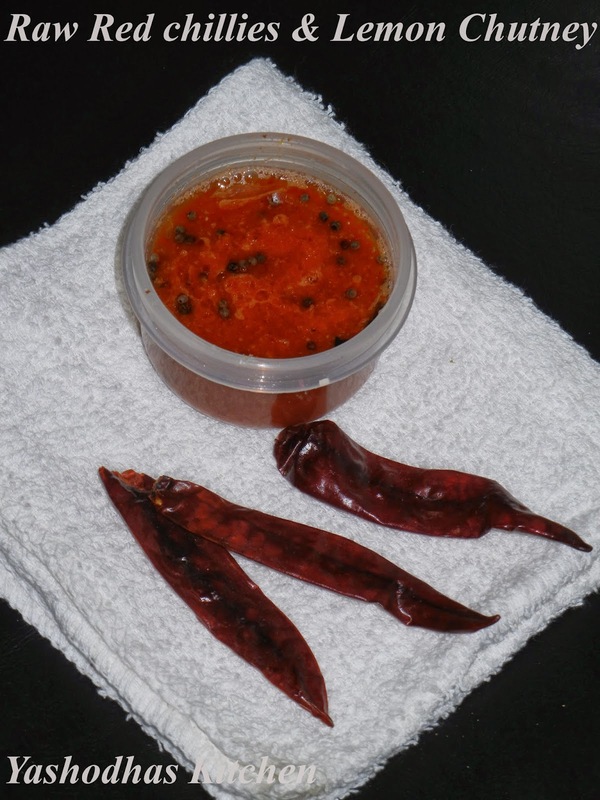 Make the red chillies powder into smooth paste. Then remove it to the bowl. Add fresh lemon juice to the chutney and mix well. Heat oil for seasoning, add mustard seeds and curry leaves. Add seasoning to the chutney. This chutney is too spicy, please be sure before you use this chutney. It goes well with idly & dosa. If you would like, you could also use this as a thin spread for bread sandwich. I actually use to mix curd and sugar with this chutney while eating with dosa or idly. It will help you to reduce the risk of too much spicy.